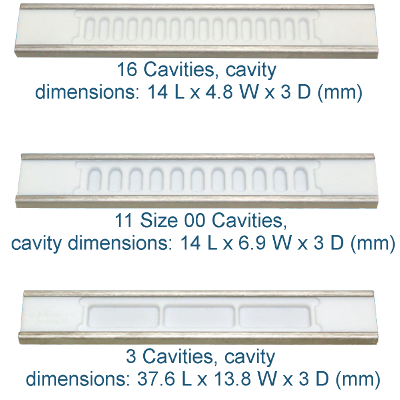 Unique configuration provides recesses for Thermanox® Cover Slips or ACLAR® film to insure anaerobic polymerization (see ACLAR® under "Embedding") Following curing, each of the specimen blocks can be removed by flexing the Mold. To restore flatness of the mold, simply slide it back into the provided metal Clamping Frame. PTFE resin is nonreactive and provides durability, flexibility and ease of release. 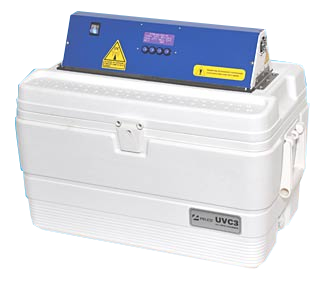 The PELCO® UVC3 Cryo Chamber has been specifically designed to provide an economical yet precisely controlled low temperature environment for polymerization of polymers and resins for cryo specimen preparation. It can also be used for dehydration and infiltration of cryo specimens. This simple and functional unit has a large insulated chamber and comprises fully automatic temperature control for the polymerization process of embedding resins and polymers.